The remaining days of a patient with a terminal illness are sometimes the most difficult stage, not only for the patient but also for his/her family. This is where hospice care comes in. It is a method designed to give aid and support to people in the final stage of their life and to make sure that they are comfortable and free of pain. 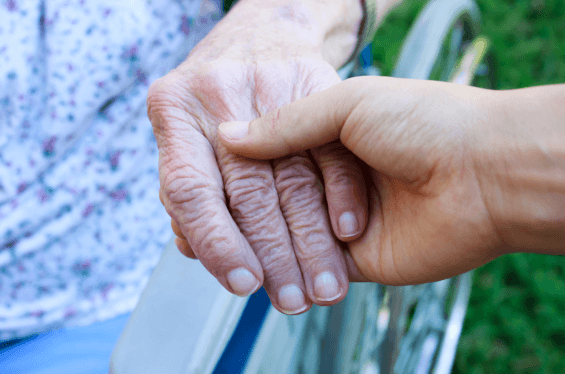 Hospice care is usually covered under senior care services. Most people would find hospice as a frightening word because it is associated with the end of life. They even misconceived that when family members avail hospice care services for their terminally-ill loved one; it means they have already given up on them. However, the facts about hospice prove otherwise. It offers a familiar environment. The patient has the option to choose where the hospice care services can be rendered. Research has shown that people would prefer to die in comfort or familiar surroundings rather than in an institutional setting. It provides personalized care and support. It gives patients a chance to die with dignity. Hospice care focuses on comfort and quality of life rather than cure. It helps patients avoid unwanted hospitalizations, medical treatments, and procedures. Hospice patients do not have to undergo invasive procedures just to prolong their life. They are given the choice on how to spend the remaining days of their life with comfort. It is cheaper and more practical. Hospital bills can be overwhelming. In hospice care, the patient and their family can choose to place them at home. It eliminates the out-of-pocket costs for hospital stays, medications, durable medical equipment, and medical supplies. Also, hospice is covered under several healthcare insurances. It extends the life of patients. Even if hospice care does not focus on the cure, there are numerous studies that show how people under hospice supervision experience an improvement in their health. Even if the disease continues to progress, most terminally-ill patients live longer than expected. It supports family members through counseling. Hospice helps families deal with what they are dealing during the most difficult times of their lives. If their loved one passes away, hospice offers bereavement and grief counseling for the family. It also helps with some of the necessary after-death tasks. Abundant Life Assisted Services, a senior home care services in Georgia, provides hospice care support for patients with a terminal illness. To learn more about this service, you can talk to one of our staff at 678-319-0307 or e-mail info@alascare.com. This entry was posted in Hospice Care and tagged Health, Terminal Illness, Terminally-Ill Patients. Bookmark the permalink.